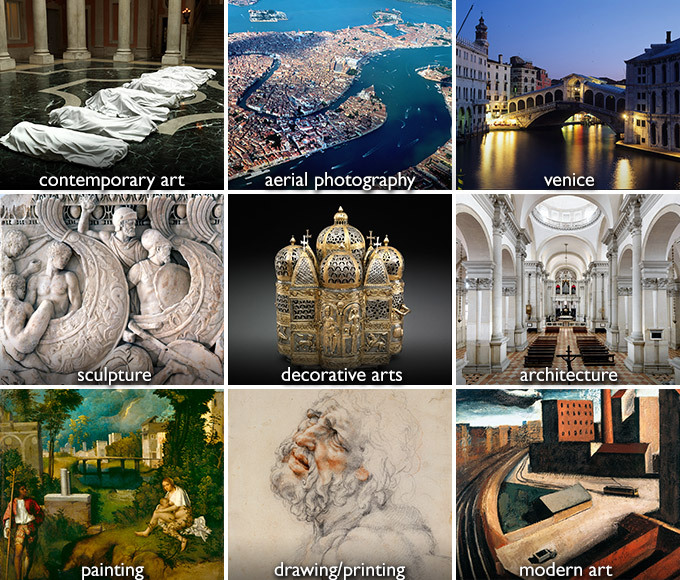 The CameraphotoArte archive is the most comprehensive collection of images of works of art (paintings, sculptures, architecture, artifacts, etc..) of one of the most important art cities in the world: Venice. During the 25 years of activity, thousands of masterpieces and lesser known works have been documented, always in medium or large format, and since 2005, in high digital resolution. Even the transparencies have been progressively digitalized to form a computerized archive, managed with a software developed by Cameraphoto. The archive is not accessible on-line, but each of your requests sent via email will be processed quickly and accurately.